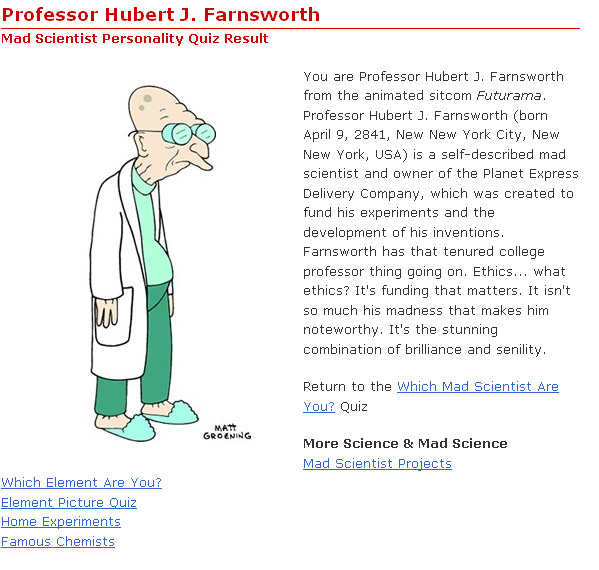 Who on earth is Hubert J. Farnsworth? Apparently, I am him, according to this site. 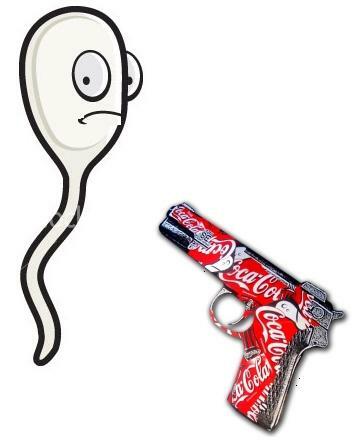 For discovering that, yes indeed, Coke is a spermicide, Anderson and her team [Boston University’s School of Medicine] are among this year’s winners of the Ig Nobel Prize, the annual award given by the Annals of Improbable Research magazine to oddball but often surprisingly practical scientific achievements. I seriously believed Coca cola and its rival Pepsi were only suitable for toilet cleaning. Good to find more uses. Some of us are technologically challenged. Don’t discriminate us, it is a natural shortcoming that is beyond our control. My Nokia T-mobile phone died out of energy drain, and I was clueless for the last two hours on how to switch it back on. Tried holding down the red hang-up button until all blood circulation to my thumb ceased. Held the # button until I could no more. Held the menu button with my right thumb, the * button with my left, the caller id button with the left toe and number 5 with the right toe, but to no avail. 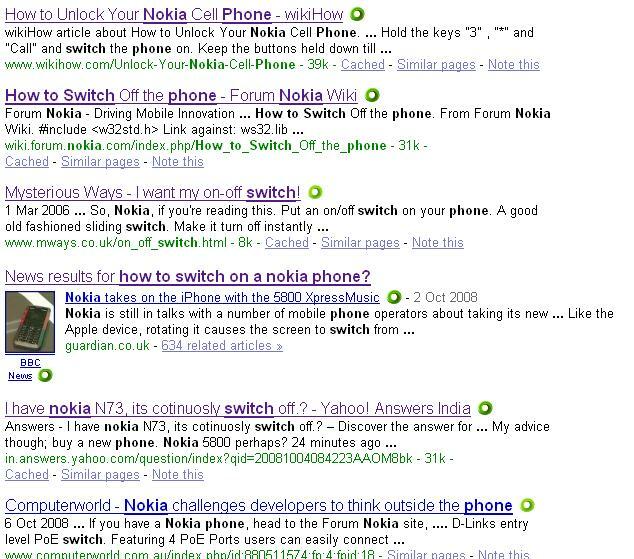 It is truly comforting to know that there are other desperate souls out there who beg Nokia to have a labeled on-off switch to turn the darn thing. Amen to you, fellow human being in pain. I particularly like the advise to buy a new phone, although I am not quite sure how useful THAT would be unless it has a SWITCH labeled and colored in fluorescent paint for techno-challenged people like us. PS: After rolling on the floor for a few minutes laughing at my Herculean efforts at switching on the blessed instrument, Aaron pressed some nondescript portion on the cell and voila, it came back to life. Helps to have a techno geek around.